Long time friends Cesar Merveille and Ryan Crosson return to Visionquest to reignite their ‘Merveille & Crosson’ project in late May with three fresh, intricately programmed cuts. Visionquest boss Ryan Crosson and Parisian Cesar Merveille need no introductions, with the duo’s back catalogues featuring material on the likes of revered imprints Cadenza, Desolat, Little Helpers and MDRNTY. 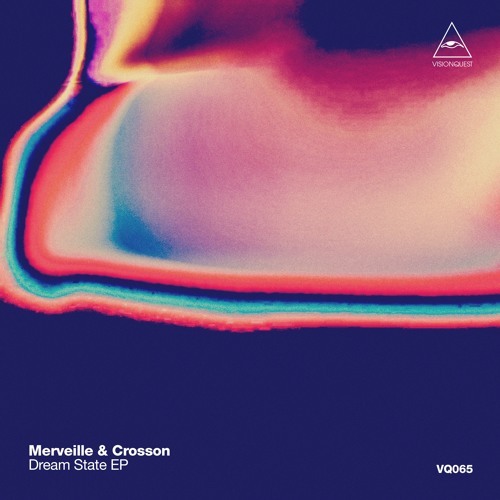 2011 welcomed the introduction of their ‘Merveille & Crosson’ project, with their debut album ‘DRM’ on Visionquest gaining plaudits from industry heavyweights including Ricardo Villalobos, and after a five years absence here we see the duo return once again to deliver ‘Dream State’, a three track EP that oozes quality from the off. The A side is home to title cut ‘Dream State’, a production that tumbles and twists smoothly around meandering synths, crisp percussion shots and a bumping low ends, typical of the duos free flowing and evolving production styles.